It is officially boat season on Lake Norman and all things sunny and warm! To get your summer kicked off right, we wanted to bring some fun ideas for you to enjoy on or around Lake Norman. 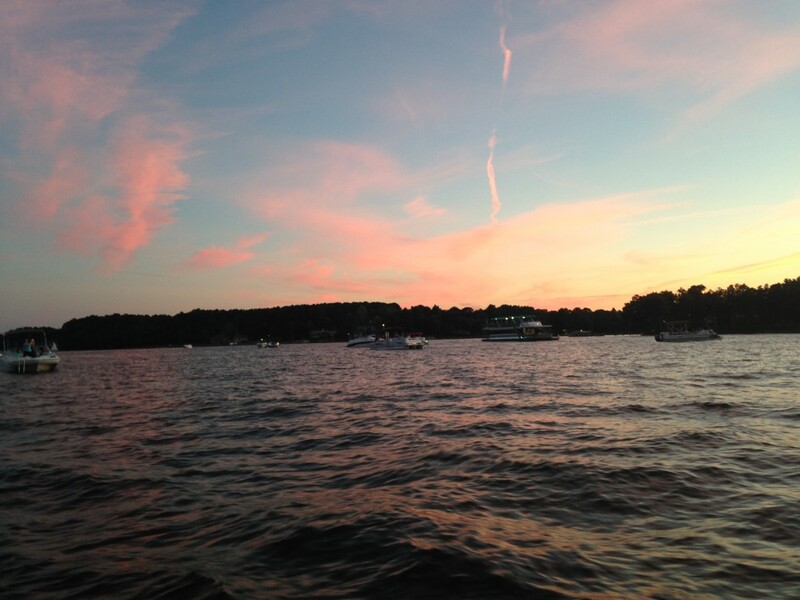 Here a few options if you’re looking to rent a boat or store your own on Lake Norman. They offer both dry storage and wet storage options for your boat. Looking for a place to anchor your boat on Lake Norman?Anchor Islandis always full of people looking to have a good time. If you want something a little more calm and peaceful, sail boating may be for you.Lake Norman Community Sailingprovides sail boat lessons and then allows you to take sail boats out on the water from dawn to dusk. They also provide kayaks, stand up paddle boards, and row boats for the days without much wind. After a long day of fun, why not end your day with dinner and a sunset view? Check out The Landing Restaurant for a casual and fun experience along with great food and a place to dock your boat. In addition to delicious food, they have sand volleyball courts, corn hole, and other fun outdoor games. Check out our previous postsfor other restaurants on Lake Norman. If you want to picnic with a great view of the lake, head to Jetton Park. Lake Norman State Park provides the only place for public swimming on Lake Norman. Lake Norman has so many fun and family friendly things to offer so get out there, explore, and enjoy! Interested in living close to the fun on Lake Norman? Contact Alyssa Roccanti, Lake Normans Premier Real Estate Agent for more details. 704-654-9305; alyssaroccanti@gmail.com.